We give thanks to the Lord, for He is good. His love endures forever! Just recently, the computer that I use for dial-up internet at our house was damaged from lightning and no longer turns on. The good thing is that we had no important information on it. The challenging thing is that the computer that we use for all of our communication, documents, and finances was somehow damaged just a couple weeks later by something totally unrelated and will not recognize the Operating System. Through a recent backup, I have been able to retrieve most of our information, but still working on email addresses. EL RETO (The Challenge). This was our 10th year and there were 270 students from 10 different churches involved. It was an exciting event that has evolved into a different level of purpose. Many pastors brought their students and are anxiously waiting for an opportunity to do something similar in their town/church. Click here to read about the event and how Victor Daniel came to know Jesus as his Savior at the Grand Finale. The Gradillas. We also had the privilege of having Pastor Rafael and his wife Susana here from Bellevue, Washington for a special Evangelistic outreach. Many people made decisions to serve and accept Christ into their life. We are excited about how God moved. Click here to see some pictures and more about the weekend. A quick trip to the United States. We will be heading to Washington in November for a couple weeks to visit family and friends. We’ll be there through Thanksgiving, and then we’ll make our way south through Oregon and California to visit more family, friends, and the Bible School. We should be back in Cofradia by mid-December. We’ll be sharing in all services at Gateway Fellowship in Poulsbo on November 16. Anniversary. We will be celebrating 14 years of marriage on November 18! Please continue to lift up the students who are taking Bible classes through the Summit Bible College extension here in Nayarit. We have five new students joining us. Geña celebrates another year of life on December 13. Music Ministry. I have been working for a decade on teaching students how to play instruments and including them on the Worship team. The past few years I have not been able to invest sufficient time to keep this going. I see a need for someone to step up in this area to help me and the church body. Please pray with me that God would place a fresh genuine spirit of Worship on someone to come along side and help. Thank you for keeping our family and ministry in your prayers. Be blessed and we hope to see you if you’re in Washington, Oregon, California, or Arizona this November/December. Once again we had the great privilege of having Pastor Rafael Gradilla from Hosanna Asamblea in Bellevue, WA to visit us in Cofradia with challenging and motiving messages. This time it was a little different than those of the past because his wife, Susana, was able to join him for the first time. As soon as they got off the plane in Mazatlan, we took them to Cofradia and right to a meeting for our leaders. It was an excellent message from the example of Noah's leadership and was a great start for the weekend. 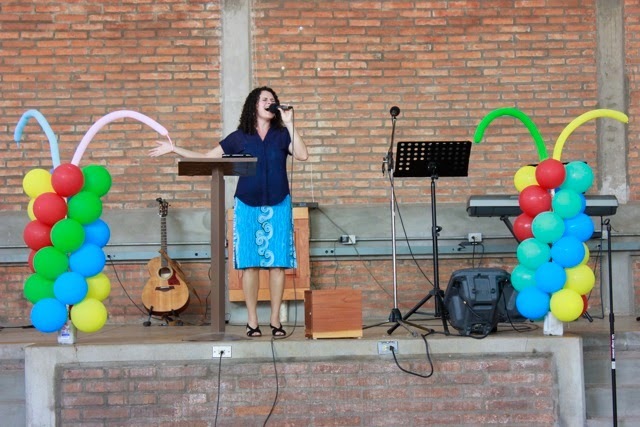 Friday night Susana sang a couple songs and Pastor Rafael spoke to the married couples. Saturday he spoke to some of the local pastors from the area in the morning and in the evening we had a special event in the Auditorium in downtown Tuxpan with Susana signing and Rafael sharing the message. Many pastors were present as well as many other people from those churches. 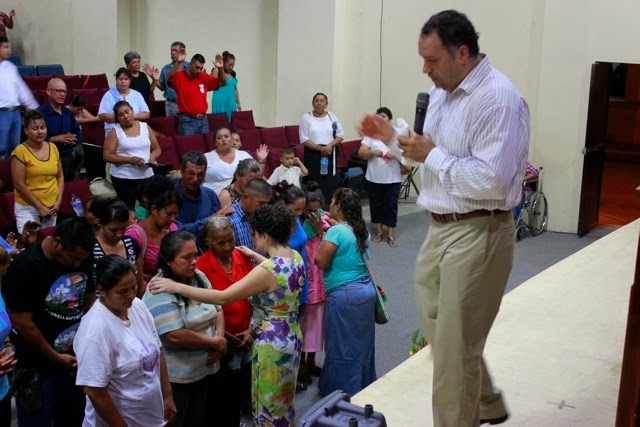 The altar was full after the invitation to receive Jesus Christ as Savior. We had the privilege of having them both again on Sunday morning as he left us a challenge to continue to share Christ's love to others and help others find their way to Him. We are very thankful for the Gradilla's ministry and were blessed to have them. What an event! We saw 270 students this year from 10 different churches located in towns and cities around this area! The final week is when we wrap everything up closing the raffle and exposing the hidden treasures. This year, five hidden treasures were placed in different locations and only three were found after the students received clues in a code language (hebrew letters and order). the winners of EL RETO 2014! 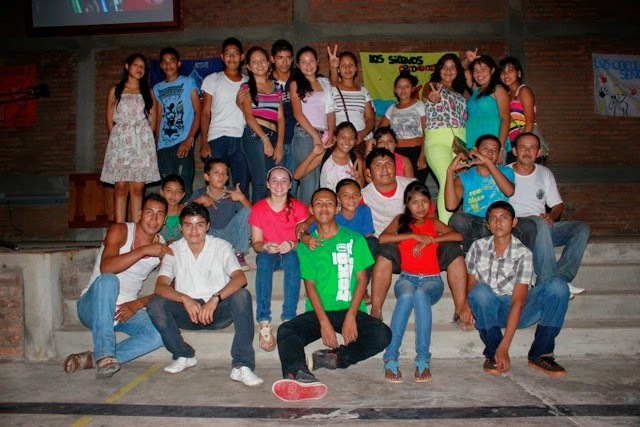 The "Obedient Ones to the Lord"
The team will be heading to the beach in San Blas soon to celebrate their win. As we continue to reach out to those who came, one of the students who is from one of the churches in another city, came to know Jesus after we were all finished and started packing up. I called out this young man not knowing who he was to congratulate him on his good attitude and how he helped his leader during the event. When we were all finished, he asked if he could have a picture with me. This opened up a conversation that led to him giving his life to Jesus for the first time. Things like this make EL RETO worth it! Thank you for your support and prayers! Along with other students, Victor Daniel's life was changed! Week #5 was our version of Amazing Race as each team had drivers take them to five different locations in five different towns. Each team chose from certain options which town they wanted to go to next. In each location there were activities to do and off to their next destination. The final destination was the center of town in Cofradía for our annual "RETO AUCTION". This is always a fun time as teams bid on certain unknown items using points they've accumulated throughout the event. This is a dynamic that gets everyone involved! Even the people watching are intrigued! After the auction, we make our way to The Refuge once again for snacks and the Word. Week #4 took us to the Santa Fe soccer field to play 1 on 1 on 1 on 1 on 1 on 1 soccer with an american football! It was definitely an exciting game that kept the students attentive as they heard their number called and headed out to the field. Individuals from three teams faced off individuals from the other three teams. The one who scored, received points for their team. Each year the students put together a team project. This year the teams performed sketches about their team name and bullying in the Plaza at Santa Fe. The all did a great job and we had a lot of participation this year. After all the "drama", we all headed back to The Refuge for snacks and the Word.